NESARA- REPUBLIC NOW - GALACTIC NEWS: IRS Exposed: IRS is a privately owned Puerto Rican trust. This memorandum will be construed to comply with provisions necessary to establish presumed fact (Rule 301, Federal Rules of Civil Procedure, and attending State rules) should interested parties fail to rebut any given allegation or matter of law addressed herein. The position will be construed as adequate to meet requirements of judicial notice, thus preserving fundamental law. Matters addressed herein, if not rebutted, will be construed to have general application. A true and correct copy of this Public Notice is on file with and available for inspection at the newspaper responsible for publishing the instrument as legal notice. The memorandum addresses the character of the Internal Revenue Service and other agencies of the Department of the Treasury, and legal application of the Internal Revenue Code. By consulting the index for Chapter 3, Title 31 of the United States Code, one finds that IRS and the Bureau of Alcohol, Tobacco and Firearms are not listed as agencies of the United States Department of the Treasury. 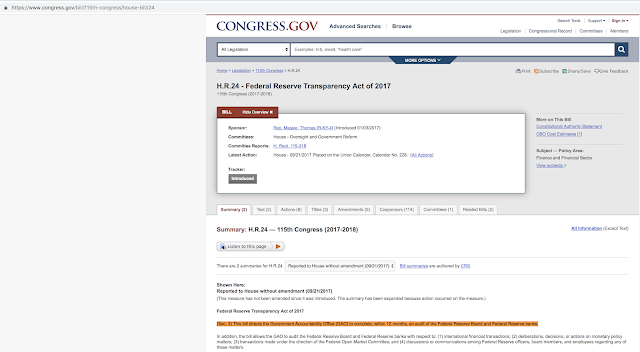 The fact that Congress never created a “Bureau of Internal Revenue” is confirmed by publication in the Federal Register at 36 F.R. 849-890 [C.B. 1971 - 1,698], 36 F.R. 11946 [C.B. 1971 - 2,577], and 37 F.R. 489-490; and in Internal Revenue Manual 1100 at 1111.2. The Federal Alcohol Administration, the offices of the members thereof, and the office of the Administrator are abolished, and their function shall be administered under the direction and supervision of the Secretary of the Treasury through the Bureau of Internal Revenue in the Department of the Treasury. A. Chapters 51 and 52 and 53 of the Internal Revenue Code of 1954 and Section 7652 and 7653 of such code insofar as they relate to the commodity subject to tax under such chapters. Transfer of functions and duties of IRS to BATF relative to Internal Revenue Code Subtitle F (chapters 61 to 80) is important where the instant matter is concerned as the only regulations published in the Federal Register applicable to the several States are under 27 CFR, Part 70 and other parts of this title relating exclusively to alcohol, tobacco and firearms matters. However, the charade doesn’t end there. In Reorganization Plan No. 1 of 1965 (5 USC § 903), the original Bureau of Customs, created by Act of Congress in 1895, was abolished and merged under the Secretary of the Treasury. Revenue Agent. Any duly authorized Commonwealth Internal Revenue Agent of the Department of the Treasury of Puerto Rico. Secretary. The Secretary of the Treasury of Puerto Rico. Secretary or his delegate. The Secretary or any officer or employee of the Department of the Treasury of Puerto Rico duly authorized by the Secretary to perform the function mentioned or described in this part. The Internal Revenue Service, a foreign entity with respect to the several States, is not registered to do business in the several States. The Internal Revenue Service has for years been protected by statutory courts both of the United States and the several States, with the latter operating in the framework of adopted uniform laws which ascribe a federal character to the several States. Both operate under the presumption of Congress’ Article IV jurisdiction within the geographical United States (the District of Columbia, Puerto Rico, etc. ), both accommodate private international law under exclusively United States treaties on private international law, and both operate in the framework of admiralty rules to impose Civil Law (see both majority & dissenting opinions variously, Bennis v. Michigan, U.S. Supreme Court No. 94-8729, March 4, 1996) , which is repugnant to both state and national constitutions (see authority of Department of Justice as representative of the “Central Authority” established by U.S. treaties on private international law at 28 CFR § 0.49; also, “conflict of law” as a subcategory to “statutes” in American Jurisprudence). However, this house of cards will shortly fall as Cooperative Federalism, known as Corporatism well into the 1930s, has been thoroughly documented and is rapidly being exposed via state and United States appellate courts and in public forum. (b) PRESERVATION OF EXISTING RIGHTS AND REMEDIES.– Nothing in Reorganization Plan Numbered 26 of 1950 or Reorganization Plan Numbered 1 of 1952 shall be considered to impair any right or remedy, including trial by jury, to recover any internal revenue tax alleged to have been erroneously or illegally assessed or collected, or any penalty claimed to have been collected without authority, or any sum alleged to have been excessive or in any manner wrongfully collected under the internal revenue laws. For the purpose of any action to recover any such tax, penalty, or sum, all statutes, rules, and regulations referring to the collector of internal revenue, the principal officer for the internal revenue district, or the Secretary, shall be deemed to refer to the officer whose act or acts referred to in the preceding sentence gave rise to such action. 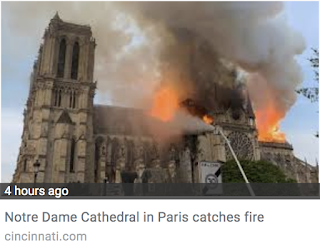 The venue of any such action shall be the same as under existing law.The reorganization plans of 1950 & 1952 were implemented via the Internal Revenue Code of 1954, Volume 68A of the Statutes at Large, and codified as title 26 of the United States Code. Savings statutes have been in place since the beginning, but generally not understood by the general population or the legal profession. The statute set out above is easier to comprehend when references are consolidated. Further, the dependent clause “including trial by jury” relates to a constitutionally-assured right, not a remedy, so it should be moved to the proper location in the sentence. Finally, the matter of venue is important as “existing law” is constitutional and common law indigenous to the several States. In the absence of legitimate federal law which extends to the several States, those who operate under color of law, engage in oppression, extortion, etc., are subject to the foundation law of the States. Venue is determined by the law of legislative jurisdiction.Citing “including trial by jury” preserves the full slate of due process rights included in Fourth, Fifth, Sixth, Seventh and Fourteenth Amendments to the Constitution for the united States of America and corresponding provisions in constitutions of the several States. 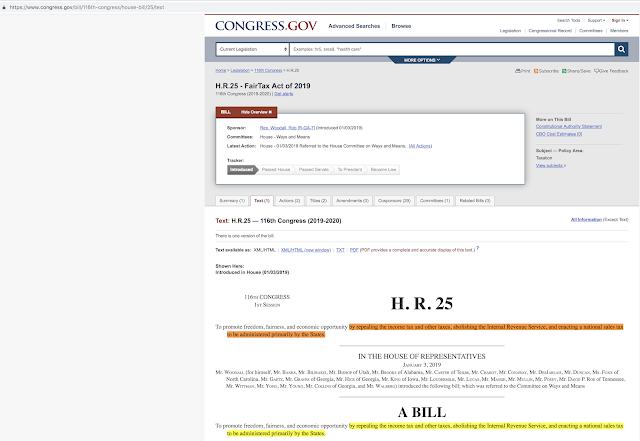 The example represents the class.Additionally, note that, (1) actions may issue against bogus assessments as well as collections, and (2) § 7804(b), unlike § 7433, does not presume that the complaining party is a “taxpayer”. 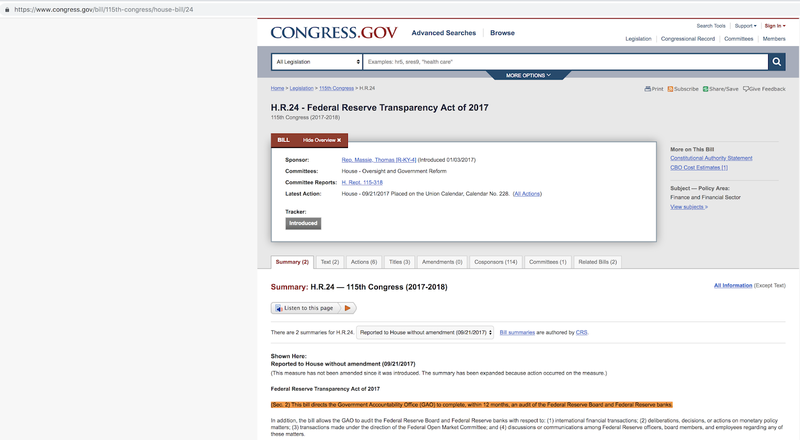 Finally, there is 26 CFR, Part 1 regulatory support for § 7804 where there are no regulations published in the Federal Register in support of § 7433 (see Parallel Table of Authorities and Rules, beginning on page 751 of the Index volume to the Code of Federal Regulations). Therefore, § 7804(b) preserves rights and determines the nature of civil actions for remedies in the several States. When straightened out, applicable portions of § 7804(b) read as follows:Nothing in [the Internal Revenue Code] shall be considered to impair any right, [including trial by jury], or remedy, [***], to recover any internal revenue tax alleged to have been erroneously or illegally assessed or collected … The venue of any such action shall be the same as under existing law. The necessity of due process is implicitly preserved by 28 USC § 2463, which stipulates that any seizure under United States revenue laws will be deemed in the custody of the law and subject solely to disposition of courts of the United States with proper jurisdiction. In other words, even if IRS had legitimate authority in the several States, the agency would of necessity have to file a civil or criminal complaint prior to garnishment, seizure or any other action adversely affecting the life, liberty or property of any given person, whether a Fourteenth Amendment citizen-subject of the United States or a Citizen principal of one of the several States. Due process assurances in the Fifth and Fourteenth Amendments do not equivocate — administrative seizures without due process can be equated only to tyranny and barbarian rule. Further, even regulations governing IRS conduct acknowledge and therefore preserve Fifth Amendment assurances at 26 CFR § 601.106(f)(1). The privilege tax is an excise rather than direct tax — the Sixteenth Amendment, fraudulently promulgated in 1913, did not alter or repeal constitutional provisions which require all direct taxes to be apportioned among the several States (Constitution, Article I §§ 2.3 & 9.4). In Eisner v. Macomber, 252 U.S. 189 (1918), Coppage v. Kansas, 236 U.S. 1, and numerous decisions since, the United States Supreme Court has repeatedly affirmed that for purposes of income tax, wages and other returns from enterprise of common right are property, not income. In fact, returns from enterprise of common right are fundamental to all property, and the sanctity is preserved as a fundamental common law principle dating to signing of the Magna Charta in 1215. By referencing the Parallel Table of Authorities and Rules, cited above, it is found that the definition of “gross income” is still preserved in Section 22 of the Internal Revenue Code of 1939, thus cementing the link between the Code of 1939 and Subtitles A & C of the Code of 1954, as amended in 1986 and since. The Internal Revenue Code of 1939 merely codified the Public Salary Tax Act of 1939. This link is further confirmed in Senate Committee On Finance and House Committee On Ways and Means reports No. H.R. 8300 (1954, Internal Revenue Code), in which § 22 of the Internal Revenue Code of 1939 and § 61 of the Internal Revenue Code of 1954 (current code) were solidly linked. Both reports stipulate that the current definition of “gross income” is intended to be constitutional. As demonstrated above, wages and other returns from enterprise of common right are exempt from direct tax by fundamental law, and the regulation for the current Internal Revenue Code definition for “gross income” clearly articulates the fundamental law exemption. While definitions for gross and adjusted gross income are clearly antecedent to the definition of taxable income, they have no legal effect if there is no taxing authority — adjusted gross income which is not taxable within the several States is of no consequence where the federal tax system is concerned. Further, on examination of 26 CFR § 1.62-1, pertaining to “adjusted gross income”, it is found that subsections (a) & (b) are reserved so the published regulation is incomplete, with “temporary” regulation § 1.62-1T serving as the current authority defining “adjusted gross income.” Temporary regulations have no legal effect. Definitions at § 3401, Vol. 68A of the Statutes at Large (the Internal Revenue Code of 1954), make it clear that, (§ 3401(a)(A)), “a resident of a contiguous country who enters and leaves the United States at frequent intervals..,” is a nonresident alien of the United States (citizens and residents of the several States included), and the exclusion from “wages” extends even to citizens of the United States who provide services for employers “other than the United States or an agency thereof”(§3401(a)(8)(A)). SEC. 3504. ACTS TO BE PERFORMED BY AGENTS. In case a fiduciary, agent, or other person has the control, receipt, custody, or disposal of, or pays the wages of an employee or group of employees, employed by one or more employers, the Secretary of his delegate, under regulations prescribed by him, is authorized to designate such fiduciary, agent, or other person to perform such acts as are required by employers under this subtitle and as the Secretary or his delegate may specify. Except as may be otherwise prescribed by the Secretary or his delegate, all provisions of law (including penalties) applicable in respect to an employer shall be applicable to a fiduciary, agent, or other person so designated, but, except as so provided, the employer for whom such fiduciary, agent, or other person acts shall remain subject to the provisions of law (including penalties) applicable in respect to employers. (d) TAX PAID BY RECIPIENT. — If the employer, in violation of the provisions of this chapter, fails to deduct and withhold the tax under this chapter, and thereafter the tax against which such tax may be credited is paid, the tax so required to be deducted and withheld shall not be collected from the employer; but this subsection shall in no case relieve the employer from liability for any penalties or additions to the tax otherwise applicable in respect to such failure to deduct and withhold. These provisions from Vol. 68A of the Statutes at Large comply with and verify liability set out at 26 CFR, Part 601, Subpart D in general. Further, territorial limits of application are made clear by the absence of regulations supporting 26 USC §§ 7621, 7802, etc., which are the statutes authorizing establishment of internal revenue districts and delegations of authority to the Commissioner of Internal Revenue and assistants. The fact that the liability falls to the “employer” (26 USC § 3401(d)) and/or his agent, with no compensation for serving as “tax collector,” narrows the field to federal government entities as “employers” if for no other reason than the population at large is not subject to the edict of government officials. As a matter of course, government cannot compel performance where the general population is concerned. The subject class that has “liability” for Subtitles A & C taxes is the “employer” or his agent, fiduciary, etc., as specified above. SEC. 3404. RETURN AND PAYMENT BY GOVERNMENTAL EMPLOYER. If the employer is the United States, or a State, Territory, or political subdivision thereof, or the District of Columbia, or any agency or instrumentality of any one or more of the foregoing, the return of the amount deducted and withheld upon any wages may be made by any officer or employee of the United States, or of such State, Territory, or political subdivision, or of the District of Columbia, or of such agency or instrumentality, as the case may be, having control of the payment of such wages, or appropriately designated for that purpose. § 31.3121(3)-1 State, United States, and citizen. (a) When used in the regulations in this subpart, the term “State” includes the District of Columbia, the Commonwealth of Puerto Rico, the Virgin Islands, the Territories of Alaska and Hawaii before their admission as States, and (when used with respect to services performed after 1960) Guam and American Samoa. (b) When used in the regulations in this subpart, the term “United States”, when used in a geographical sense, means the several states (including the Territories of Alaska and Hawaii before their admission as States), the District of Columbia, the Commonwealth of Puerto Rico, and the Virgin Islands. When used in the regulations in this subpart with respect to services performed after 1960, the term “United States” also includes Guam and American Samoa when the term is used in a geographical sense. The term “citizen of the United States” includes a citizen of the Commonwealth of Puerto Rico or the Virgin Islands, and, effective January 1, 1961, a citizen of Guam or American Samoa. (c) INCLUDES AND INCLUDING. — The terms “includes” and “including” when used in a definition contained in this title shall not be deemed to exclude other things otherwise within the meaning of the term defined. Two principles of law clarify definition intent: (1) The example represents the class, and (2) that which is not named is intended to be omitted. In the definition of “United States” and “State” set out above, all examples are of federal States, and are exclusive of the several States, with the transition of Alaska and Hawaii from the included to the excluded class proving the point. 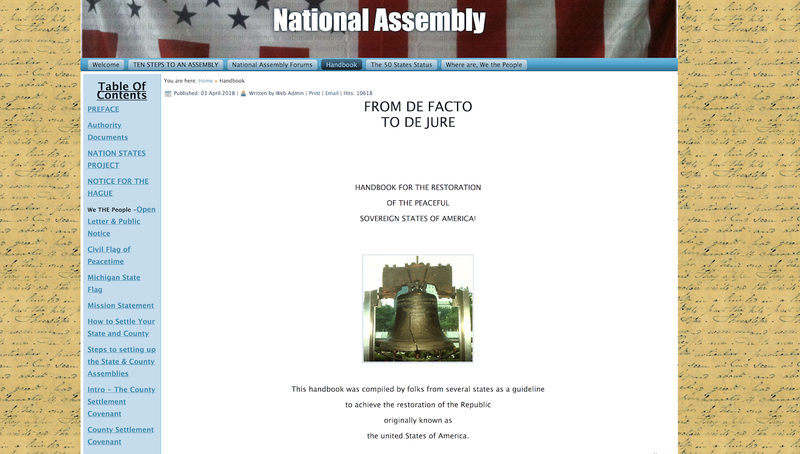 This conclusion is reinforced by the absence of regulations which extend authority to establish revenue districts in the several States (26 USC § 7621), authority for the Department of the Treasury [Puerto Rico] in the several States (26 USC § 7801), and no grant of delegated authority for the Commissioner of Internal Revenue, assistant commissioners, or other Department of the Treasury personnel (26 USC § 7802 & 7803). Here again, the Parallel Table of Authorities and Rules is useful as it demonstrates that Subtitles A & C taxes do not have general application within the several States and to the population at large. 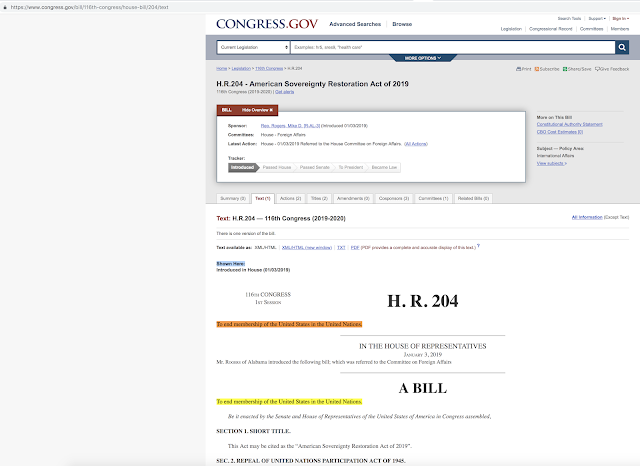 The regulation for 26 USC § 1 refers to 26 CFR § 301, but that amounts to a dead end — there is no regulation under 26 CFR, Part 1 or 31 which would apply to the several States and the population at large. Further, there are no supportive regulations at all for 26 USC §§ 2 & 3, and of considerable significance, no regulations supporting corporate income tax, 26 USC § 11, as applicable to the several States. 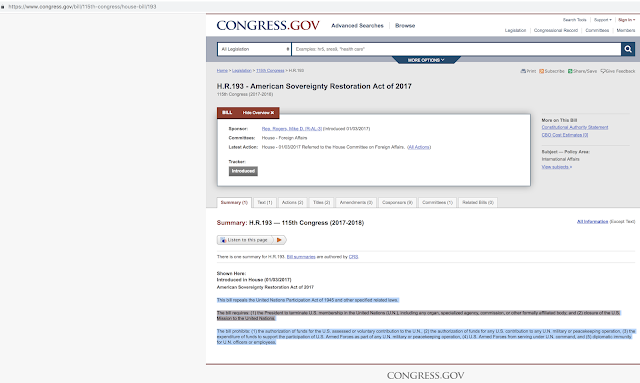 Because there is a citation supporting these statutes applicable under Title 27 of the Code of Federal Regulations, it is important to point out that, “Each agency shall publish its own regulations in full text,” (1 CFR § 21.21(c)), with further verification that one agency cannot use regulations promulgated by another at 1 CFR § 21.40. 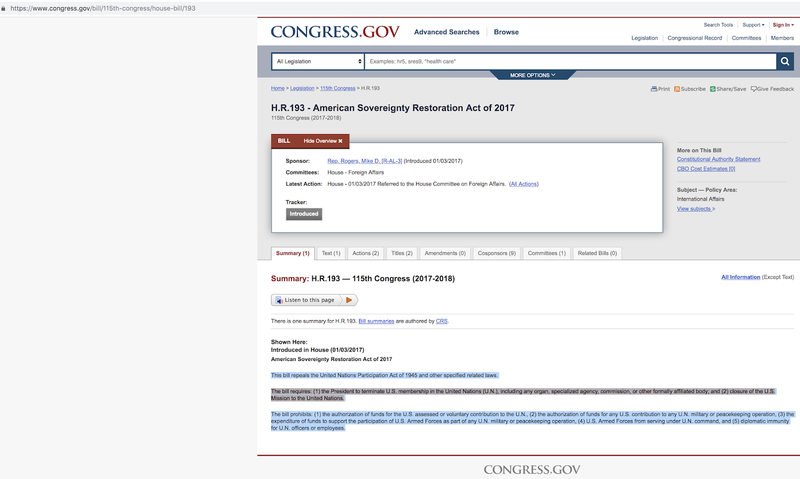 To date, no corresponding regulation has been found for 26 CFR, Part 1 or 31, so until proven otherwise, IRS does not have authority to perfect liens or prosecute seizures in the several States as pertaining to the population at large. Where the provision for filing 1040 returns is concerned, the key regulatory reference is at 26 CFR § 601.401(d)(4), and this application appears related to “employees” who work for two or more “employers”, receiving foreign-earned income effectively connected to the United States. The option of filing a 1040 return for refund is mentioned in instructions applicable to United States citizens and residents of the Virgin Islands, but to date has not been located elsewhere. Reference OMB numbers for § 601.401, listed on page 170, 26 CFR, Part 600-End, cross referenced to Department of Treasury OMB numbers published in the Federal Register, November 1995, for foreign application. The fact that 1040 tax return forms are optional and voluntary, with special application, is further reinforced by Delegation Order 182 (reference 26 CFR §§ 301.6020- 1(b) & 301.7701). The Secretary or his delegate is authorized to file a Substitute for Return for the following: Form 941 (Employer’s Quarterly Federal Tax Return); Form 720 (Quarterly Federal Excise Tax Return); Form 2290 (Federal Use Tax Return on Highway Motor Vehicles); Form CT-1 (Employer’s Annual Railroad Retirement Tax Return); Form 1065 (U.S. Partnership Return of Income); Form 11-B (Special Tax Return – Gaming Services); Form 942 (Employer’s Quarterly Federal Tax Return for Household Employees); and Form 943 (Employer’s Annual Tax Return for Agricultural Employees). The “notice of levy” instrument forwarded to various third parties is not a “levy” which warrants surrender of property. The Internal Revenue Code, at § 6335(a), defines the “notice” instrument by use — notice is to be served to whomever seizure has been executed against after the seizure is effected. In short, the notice merely conveys information, it is not cause for action. The term “notice” is clarified by definition in Black’s Law Dictionary, 6th Edition, and other law dictionaries. Use of the “notice of levy” instrument to effect seizure is fraud by design. Proper use of the “notice” process, administrative garnishment, et al, is specifically set out in 5 USC § 5514, as being applicable exclusively to officers, agents and employees of agencies of the United States (26 USC § 3401(c)). Even then, however, the process must comply with provisions of 31 USC § 3530(d), and standards set forth in §§ 3711 & 3716-17. In accordance with provisions of 26 CFR, Part 601, Subpart D, the employer, meaning the United States agency the employee is employed by, is responsible for promulgating regulations and carrying out garnishment. Even if IRS was the agency responsible for collecting from an “employee,” due process would be required, as noted above, so authority to collect would ensue only after securing a court order from a court of competent jurisdiction, which in the several States would mean a judicial court of the State. In law, however, there is no authority for securing or issuing a Notice of Distraint premised on non-filing, bogus filing, or any other act relating to the 1040 return. See United States v. O’Dell, Case No. 10188, Sixth Circuit Court of Appeals, March 10, 1947. In G.M. Leasing Corp. v. United States, 429 U.S. 338 (1977), the United States Supreme Court held that a judicial warrant for tax levies is necessary to protect against unjustified intrusions into privacy. The Court further held that forcible entry by IRS officials onto private premises without prior judicial authorization was also an invasion of privacy. In other words, to the point Service personnel produce the statute which mandates a certain tax and which specifies, “… the transaction, service, or object to be taxed..,” the burden of proof lies with the Government, with the consequence being that no obligation or civil or criminal liability can ensue to the point a taxing statute that meets the above requirements is in evidence. The control statute for Subtitle F, Chapter 61, Subchapter A, Part I, concerning records, statements, and special returns, clearly returns the matter to the “employee” defined at § 3401(c), and the “employer” defined at § 3401(d). In general, however, (1) the Secretary must provide direct notice to whomever is required to keep books, records, etc., as being the “person liable,” or (2) specify the person liable by regulation. In the absence of notice by the Secretary, based on a taxing statute which makes such a person liable according to provisions stipulated in United States v. Community TV, Inc., Hassett v. Welch, and other such cases, or regulations which specifically set establish general liability, there is no liability. (a) REPORTS BY EMPLOYEES. — Every employee who, in the course of his employment by an employer, receives in any calendar month tips which are wages (as defined in section 3121(a) or section 3401(a)) or which are compensation (as defined in section 3231(e)) shall report all such tips in one or more written statements furnished to his employer on or before the 10th day following such month. Such statements shall be furnished by the employee under such regulations, at such other times before such 10th day, and in such form and manner, as may be prescribed by the Secretary. The “method of assessment” prescribed at 26 USC § 6303 is therefore dependent on the taxing statute and must rest on authority specifically conveyed by a taxing statute which prescribes liability where the Secretary (1) has provided specific notice, including the statute and type of tax being imposed, or (2) supports assessment by regulatory application. In the absence of one or the other, an assessment by the Secretary is of no consequence as it is not legally obligating. The requirement for the Secretary to provide notice to whomever is responsible for collecting tax, keeping records, etc., is clarified at 26 CFR § 301.7512-1, particularly (a)(1)(i), relating to “employee tax imposed by section 3101 of chapter 21 (Federal Insurance Contributions Act),” and (a)(1)(iii), relating to “income tax required to be withheld on wages by section 3402 of chapter 24 (Collection of Income Tax at Source on Wages)…” The person liable is the employer or the employer’s agent, and of particular significance, it is this “person” who is subject to civil and particularly criminal penalties (26 CFR § 301.7513-1(f); 26 CFR §§ 301.7207-1 & 301.7214-1, etc.). Officers and employees of the United States are specifically identified as being liable at 26 USC § 301.7214-1. The matter of who is required to register, apply for licenses, or otherwise collect and/or pay taxes imposed by the Internal Revenue Code is ultimately and finally put to rest under “Licensing and Registration”, 26 USC §§ 301.7001-1, et seq. Each of the categories so addressed has liability based on some particular taxing statute which creates liability. The requirement for a specific taxing statute, with 26 USC § 6001 clearly providing the first leg in necessary administrative procedure to determine liability, was addressed at length in Rodriguez v. United States, 629 F. Supp. 333 (N.D. Ill. 1986). Presuming (1) the Secretary has provided the necessary notice, or (2) a regulation prescribes general application which makes any given person liable for a tax and requires tax return statements to be filed, each step in administrative process prescribed by 26 USC §§ 6201, 6212, 6213, 6303 and 6331 must be in place for seizure or any other encumbrance to be legal. (1) TAXES SHOWN ON RETURN. — The secretary shall assess all taxes determined by the taxpayer or by the Secretary as to which returns or lists are made under this title. (3) ERRONEOUS INCOME TAX PREPAYMENT CREDITS. — If on any return or claim for refund of income taxes under subtitle A there is an overstatement of the credit for income tax withheld at the source, or of the amount paid as estimated income tax, the amount so overstated which is allowed against the tax shown on the return or which is allowed as a credit or refund may be assessed by the Secretary in the same manner as in the case of a mathematical or clerical error appearing upon the return, except that the provisions of section 6213(b)(2) (relating to abatement of mathematical or clerical error assessments) shall not apply with regard to any assessment under this paragraph. (1) ESTIMATED INCOME TAX. — No unpaid amount of estimated income tax required to be paid under section 6654 or 6655 shall be assessed. 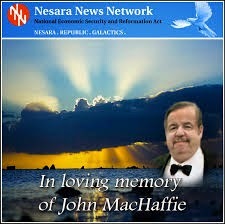 (2) FEDERAL EMPLOYMENT TAX. — No unpaid amount of Federal unemployment tax for any calendar quarter or other period of a calendar year, computed as provided in section 6157, shall be assessed. The grant of assessment authority with respect to taxes prescribed in Subtitles A & C is limited to provisions set out above even where the Service might have authority relating to those made liable for the tax, meaning the “employer” specified at 26 USC § 3401(d). Clearly, returns made either by the agent of the United States agency required to file a return, or the Secretary, are to be evaluated mathematically, and errors are to be treated as clerical errors, nothing more. The Secretary has no authority to assess estimated income tax (individual estimated income tax at § 6554; corporation estimated income tax at § 6655), or unemployment tax ( § 6157). For all practical purposes, the trail effectively ends here. In order for there to be an opportunity for a nonresident alien of the United States (a Citizen of one of the several States) to elect to be taxed or treated as a citizen or resident of the United States, one or the other of a married couple, or the single “individual” making the election, must be a citizen or resident of the United States (26 USC § 6013(g)(3)). Some party must in some way be connected with a “United States trade or business” (performance of the functions of a public office (26 USC § 7701(a)(26)). A nonresident alien never has self-employment income (26 CFR § 1.1402(b)-1(d)). In the event that a nonresident alien is an “employee” (26 USC § 3401(c)), the “employer” (26 USC § 3401(d)) is liable for collection and payment of income tax (26 CFR § 1.1441-1). And in order for real property to be treated as effectively connected with a United States trade or business by way of election, it must be located within the geographical United States (26 USC § 871(d)). This memorandum is not intended to be exhaustive, but merely sufficient to support causes set out separately. The most conspicuous conclusions of law are that Congress never created a Bureau of Internal Revenue, the predecessor of the Internal Revenue Service; Subtitles A & C of the Internal Revenue Code prescribe excise taxes, mandatory only for employees of United States Government agencies; the Internal Revenue Service, within the geographical United States where the Service appears to have colorable authority, is required to use judicial process prior to seizing or encumbering assets; and the law demonstrates that people of the several States, defined as nonresident aliens of the self-interested United States in the Internal Revenue Code, cannot legitimately elect to be taxed or treated as citizens or residents of the United States. If a Citizen of one of the several States works for an agency of the United States or receives income from a United States “trade or business” or otherwise effectively connected with the United States, the employer or other third party responsible for payment is made liable for withholding taxes at the rate of 30% or 14%, depending on classification, and is thus “the person liable” and may be subject to Internal Revenue Service initiatives, with administrative initiatives, where seizure and/or encumbrance actions are concerned, subject to judicial determinations by courts of competent jurisdiction. CHRIST - Keep GOD with You! NOW are you understanding the reason for NESARA? I see where we can save! Colorado Massacre Linked To Historic Bank Fraud?